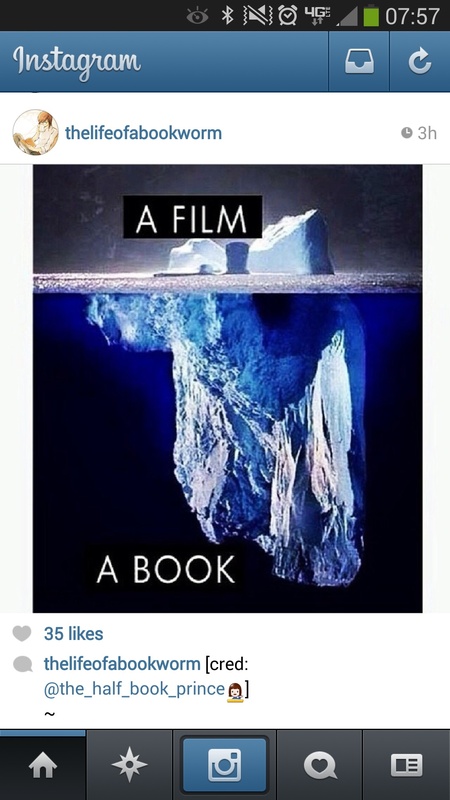 Book or Movie: Which Do YOU Like Better? Also, many movies fail to pick up on the subtle undertones and themes that permeated the books. “The Wizard of Oz” book, for example, was written as a political satire, but the movie portrays a more lighthearted version of the story, focused on beautiful images and dramatic action. Another example is “The Hunger Games” series. The movies capture some of the political themes of the books, but miss out on other important ones. As riveting as the movies are, the books have more depth and dimension. However, some people prefer the movies to the books because they are more visual people and enjoy seeing the action unfolding before their eyes instead of reading about it. Another reason why some prefer movies to books is because the act of watching a movie, especially in a theater, is more of a social one, while reading a book is more of a solitary activity. And finally, some prefer the movie to the book because it’s fairly magical to watch the book they read come to life. In fact, I think that’s why we all want to watch the movies of our favorite books, even if we insist we always like the books better. I love both the books and the movies, for all of the above reasons. Sometimes, I’m just in the mood for a movie, while other times I want to lose myself in a good book. I enjoy comparing the book and the movie, and eagerly anticipate the interesting new twists that Hollywood screenwriters sometimes incorporate into the movies. Which do you prefer, the book or the movie, and why? All good points, jdh5153! Thanks for your feedback.